Cooper Climate Control provides fast, dependable air conditioning services that Phoenix-area residents rely on to keep their homes and businesses running. 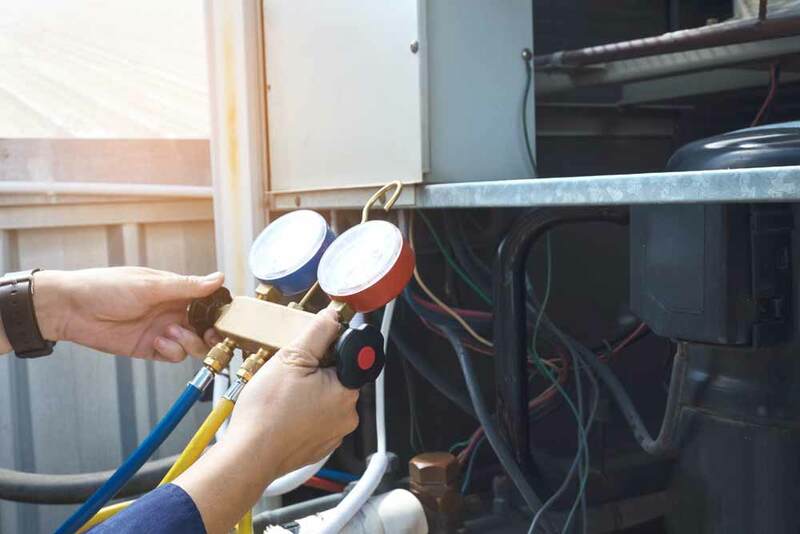 HVAC units are like a car: if small problems and routine maintenance are not addressed in a timely fashion, they have the potential to turn into costly repairs. With our Annual Maintenance Plan, certified technicians will ensure that you can relax comfortably in your home or business any time of year. One quarter of the energy consumed in Arizona goes toward air conditioning. Arizona residents spend more on electricity, largely due to AC needs, than the average expenditures of surrounding states, including Nevada and New Mexico. In the western U.S., 74 percent of households have central air conditioning; this number rises to 86 percent in Arizona. Annual tuning and maintenance of your HVAC system will keep you comfortable. A well-tuned unit will also improve efficiency, saving you on your electricity bill even in this premium summer months. One point that distinguishes Cooper Climate Control from other Phoenix air conditioning companies is our preventive maintenance service plan. It’s more than just a service contract; our air conditioning service offers an annual maintenance plan that rewards you with discounts and priority treatment for all of your air conditioning needs. It’s a commitment that we make to our most loyal customers. During the first year after installation, our plan entitles you to three inspection and maintenance visits. You’ll also receive two precision tune-ups — one in spring and one in fall — for every subsequent year that you’re a plan member. If your system requires repair, we’ll give you a 15 percent discount on any AC service. On-site service at any hour of the day or night with no overtime charges. Priority service that places you at the top of our service list, even during our busiest seasons. Free stay in a local hotel if we can’t fix your air conditioner on the same day you call. Regular tune-ups prevent most Phoenix air conditioning service calls. However, when the unexpected happens, Cooper Climate Control will make sure that you get fast and dependable service. Airflow problems can cut your system’s efficiency by as much as 15 percent. We install clean filters and clean your AC components including blowers, evaporator and condenser coils, and condensate drains. Component check. In addition to cleaning your air conditioner, we’ll adjust all components. We’ll check electrical connections, adjust blower parts, and add lubricant to keep parts running smoothly. Settings adjustment. In addition to ensuring that your AC has the right amount of refrigerant, we’ll check your controls to ensure that your AC starts, runs, and turns off properly. We’ll also check your thermostat settings to ensure your home stays cool and comfortable. Cooper Climate Control provides the air conditioning service plans that Phoenix homeowners and business owners need in order to avoid costly repairs. We want to be sure that you are in the best hands possible for if the worst case scenario occurs. Don’t wait to get a more efficient AC unit; contact us to set up a regular maintenance schedule for your HVAC system today.